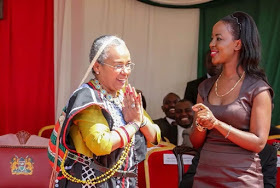 The first lady is known to lead a simple lifestyle despite the fact that she is the better half of the most powerful man in Kenya, Uhuru Muigai Kenyatta. ‘Beyond zero’ was a campaign that aims at bringing knowledge to mothers in order to help improve maternal and child health and it has truly helped many Kenyans. 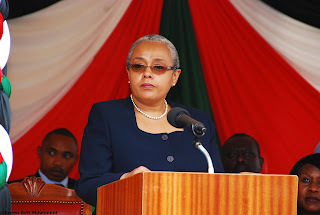 Recently, Mama Margaret Kenyatta was at Ukambani region to launch a Beyond zero mobile clinic. 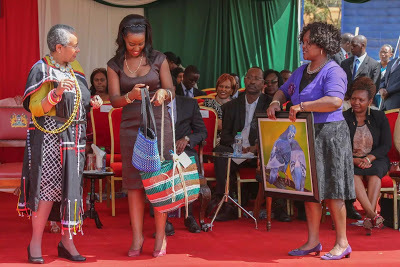 She was hosted by the Machakos governor, the darling of many, DR. Alfred Mutua and his sweetheart, Lillian Nga’ng’a and she wasn't left empty handed.